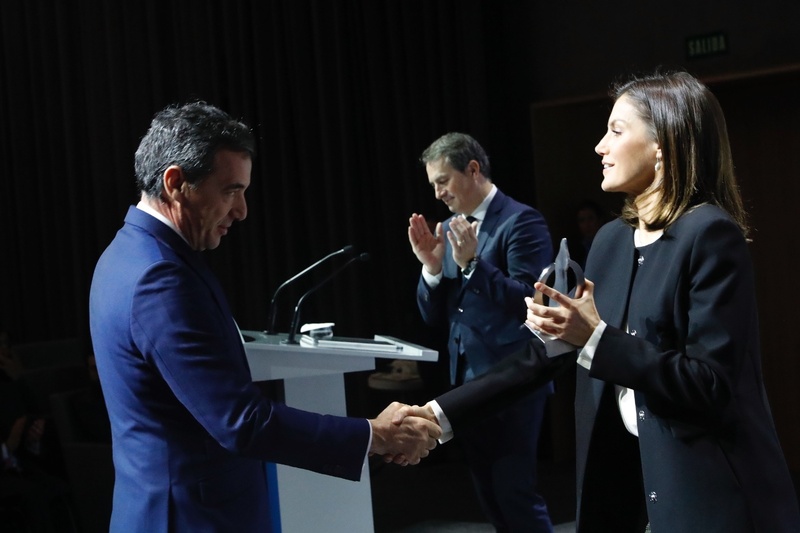 Queen Letizia of Spain presented over the X addition of BBVA Integra Awards at BBVA City in Madrid. 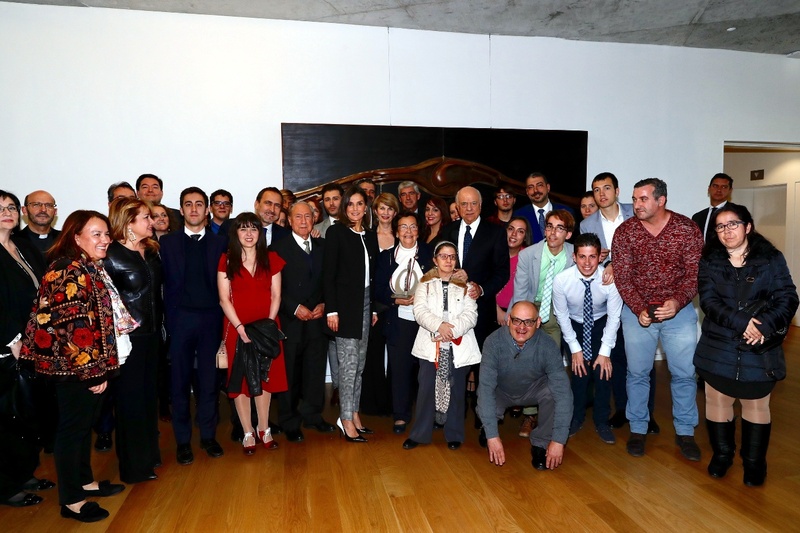 Among the winner of this year’s award was the Juan XXIII Roncalli Foundation for Category A. 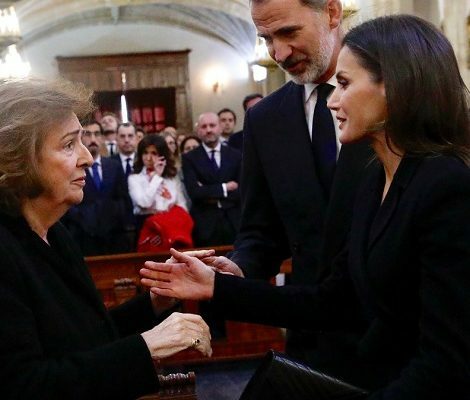 Upon arrival Queen was welcomed by the administration of BBVA. Then Queen then moved to the Auditorium. The category A award, endowed with 150,000 euros, recognizes the trajectory of 52 years of entity and its work to integrate people with intellectual disabilities in the workplace, through the development and implementation of up to eight lines of activity through its Center Special Employment. 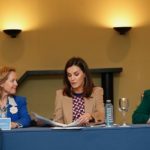 Currently, 264 workers with intellectual disabilities make up the staff of this foundation, which has increased by 33% in the last three years. Where a video showing the history of BBVA and BBVA Integra Awards was screened. 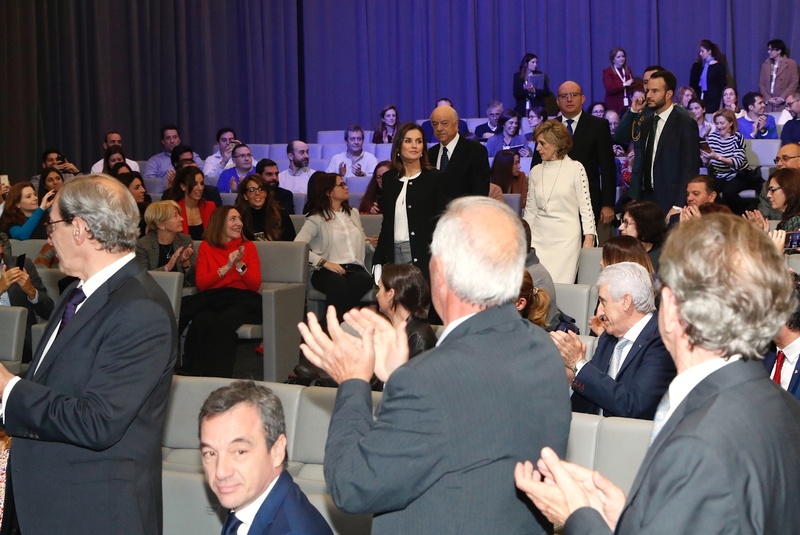 Queen Letizia presented the awards to the winner. 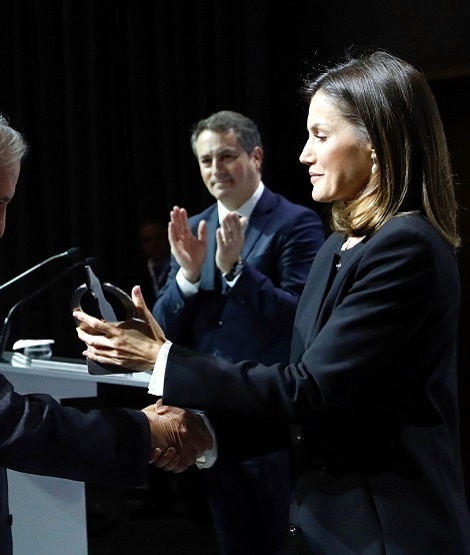 In the “category B” of this award, four entities have been rewarded with 25,000 euros for the implementation of new projects that generate employment. 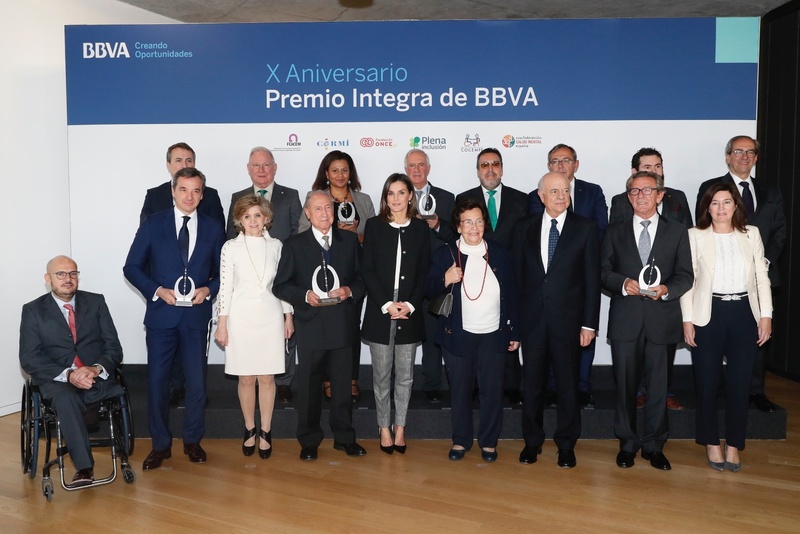 The category B award winners are Enrique Burgos, Jesús Corrales, Susana Obiang, José Ángel Preciados. 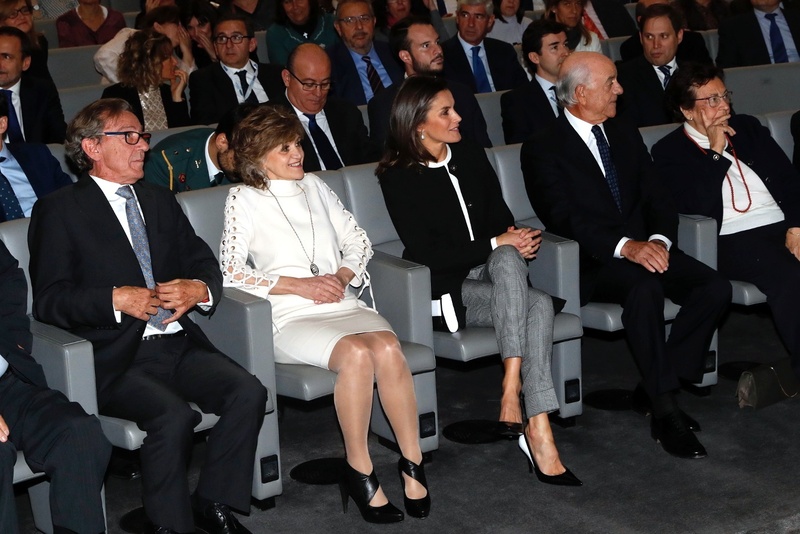 Before leaving Queen Letizia posed for a group photo with the members of Juan XXIII Roncalli Foundation. 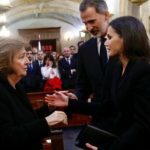 For the day, Letizia chose a classic Letizia look. She wore Black Hugo Boss Mele Coat. 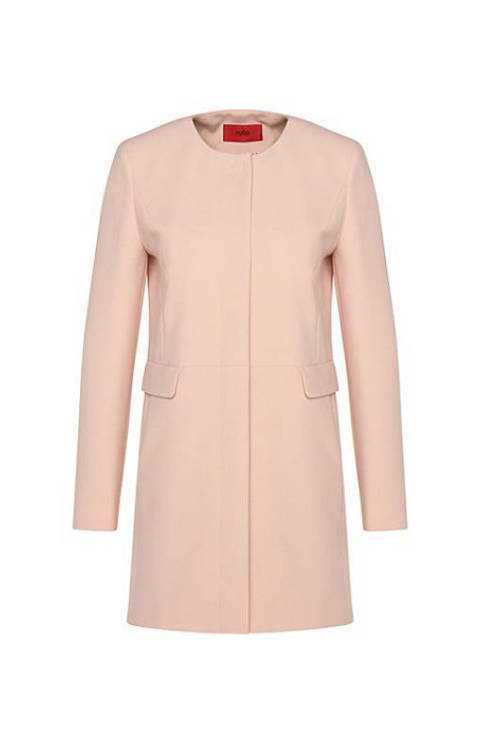 The €248 wool crepe has classic silhouette with silver button detailing at the front. She premiered it in 2016 during a visit to Belgium Embassy. (Shown here in pink). Underneath the coat, she wore wore Hugo Boss Bilinka Top. The €240 top belongs to the label’s previous year’s collection. 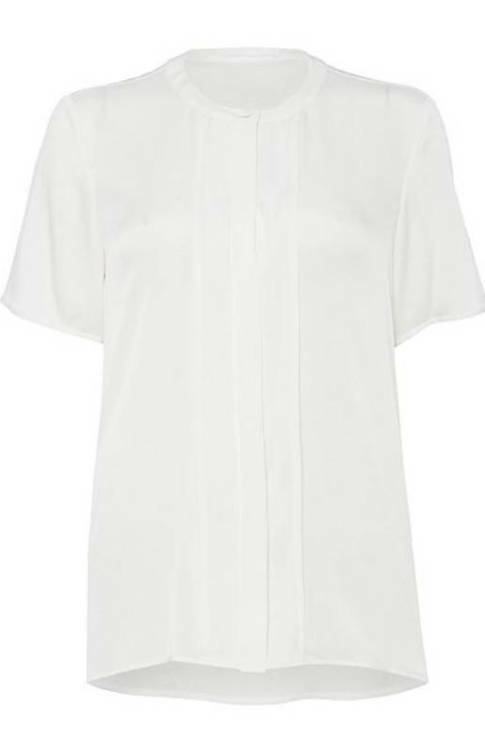 The half sleeved top featured round neckline, front pleated concealed closure. It’s available in few sizes here. 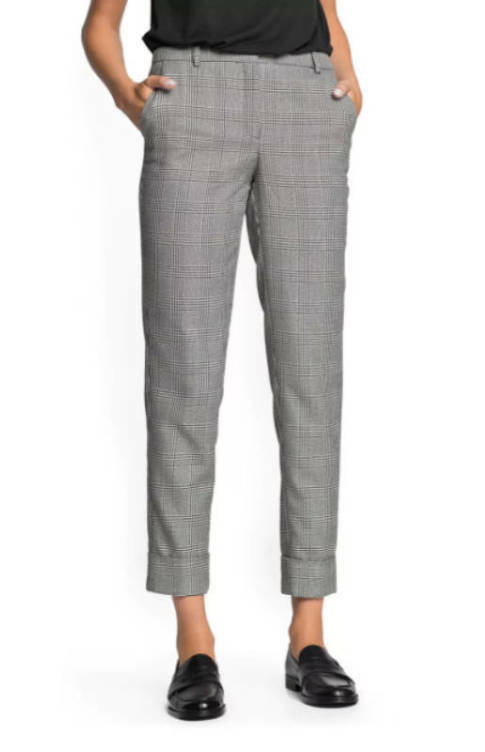 She wore Mango Prince of Wales Check Pants that she first wore in 2017 at the opening of professional course 2017-18. She wore the Monochrome patent leather pumps from Magrit that she debuted this year at Journalism Awards in October. And carried a new black and white Magrit Clutch bag. The patent leather bag has a flap closure. A pair of TOUS Pearl earrings finished her look of the day. Duchess of Cambridge has no engagemnet scheduled for upcoming week as Prince George and Princess Charlotte are on School Break. 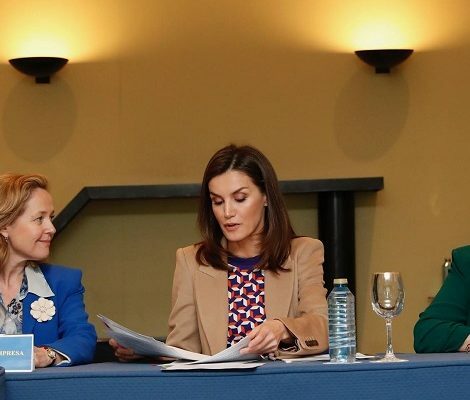 April 11 - Queen Letizia will attend the inauguration of the exhibition "Angeli" of the Foundation "The Ages of Man"